No lawsuit to worry about here. Ahead of the release of Led Zeppelin's The Complete BBC Sessions in September — an expansion of the Jimmy Page-overseen BBC Sessions from 1997 — a previously-unreleased track has been unearthed and shared. 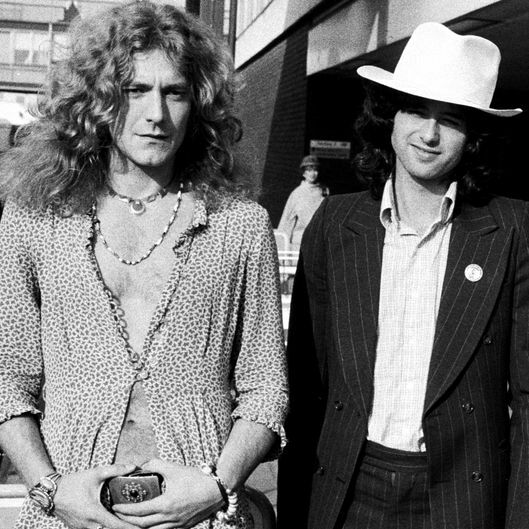 Recorded at a 1969 appearance in London, the bluesy three-minute "Sunshine Woman" is one of eight other new Zeppelin songs that will be featured on the album. The original tapes that recorded the "Sunshine Woman" sessions were lost (which also included different versions of "Dazed and Confused," "I Can’t Quit You Baby" and "You Shook Me"), and although a bootleg recording later surfaced, the song had not been formally released until now. "There’s no point pretending it wasn’t recorded off the radio," Page told Mojo about the track. "It was basically made up on the spot. It was pretty brave, bearing in mind the circumstances. We played it as if we were in rehearsals, starting it around the riff and then working it out. It shows that we were evolving pretty quickly." Listen to the track — bearing in mind the less than stellar fidelity — below.